Shipping Dimensions: 17" x 12" x 3.5"
64-page, full-color manual, 417 pieces, including plastic building pieces for models and over 200 code cards and 30 coding lessons are taught over 6 storylines involving different models, like a penguin, soccer player, mouse, and more! 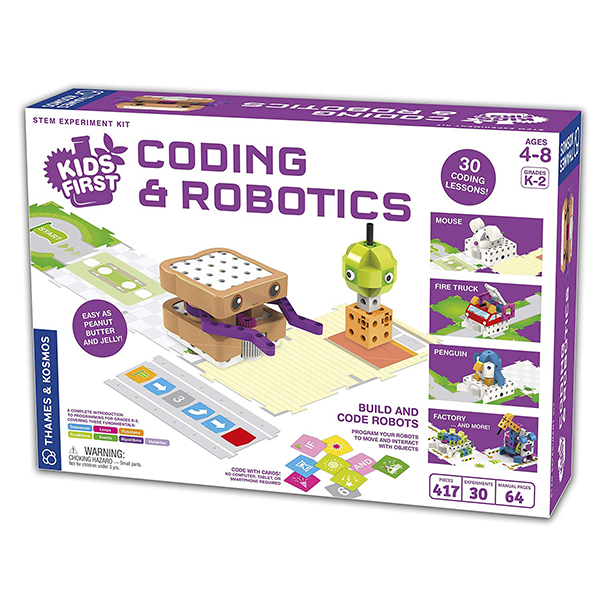 Check out this Coding for Preschoolers kit! Meet Sammy. This cute little peanut butter and jelly sandwich is actually a robot that teaches coding principles and skills to children in grades K-2. You don't need a tablet, smartphone, or computer to program this robot; programs are created by simply laying down a sequence of physical code cards. You can program the robot to move around, activate its output gear, light up its LED, play sounds, and more! Use the robots to complete coding challenges and learn the basics of programming. 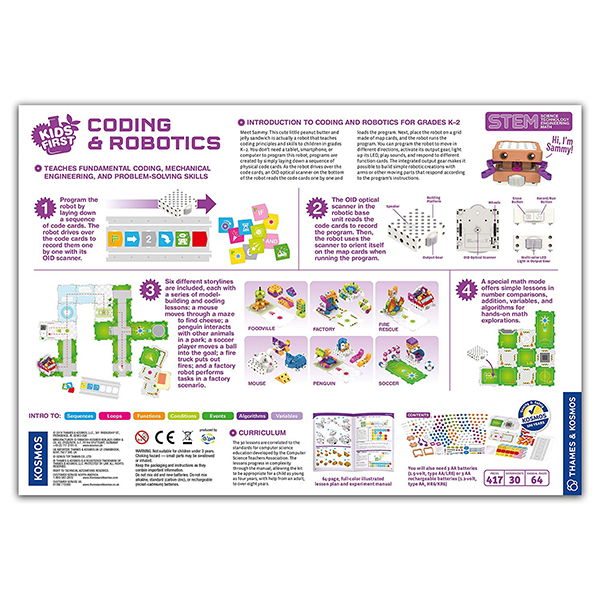 If You Liked Thames and Kosmos Coding and Robotics Kit, See More Related Products Below!